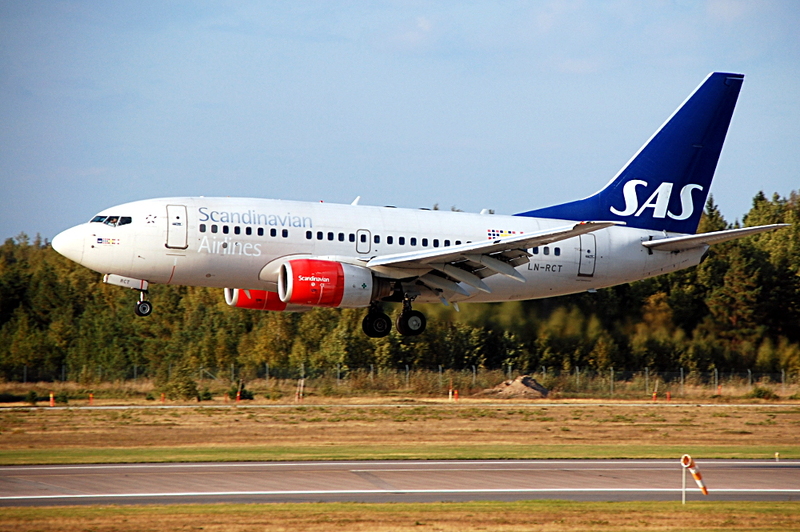 Scandinavian Airlines is one of the few airlines to take delivery of the “baby” Boeing 737NG. LN-RCT is a 737-683 which has operated for SAS since delivery in 1999. It is seen moments before touchdown on Stockholm Arlanda’s runway 26.